Cafrino has dramatically expanded its reach in the online poker world after acquiring National League of Poker (“NLOP”). National League of Poker is well-known in the social and online poker space. NLOP has been servicing those online poker players who were left without options following the federal government’s crackdown on online gambling. Like Cafrino, NLOP is free-to-play and pays players cash prizes, which are derived from its advertising revenue. In addition, NLOP offers a subscription model and downloadable applications. The acquisition means Cafrino, with bases in New York and California, has dramatically increased its daily and monthly active users. Since its launch in 2006, NLOP.com has undergone consistent and ongoing development. The current plan is to run Cafrino.com and NLOP.com separately, promising to introduce innovation to both these products in due course. Cafrino Chairman Haig Kayserian, who negotiated the deal along with company CEO Mike Murphy and General Counsel John Buckman, was delighted at the opportunity the acquisition presents their online poker startup. “Cafrino has been on a steady growth path under the leadership of our CEO Mike Murphy, and this acquisition of National League of Poker represents the exact push we needed to accelerate that growth,” Kayserian said. Stan Hunting, who has headed NLOP since Murphy’s departure, joins Cafrino as part of this acquisition. Hunting will assume the VP of Ad Operations role. 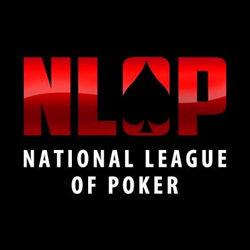 Launched in 2006, NLOP has become recognized as the leading destination site for prized-based, free-to-play, legal online poker. NLOP enables players to win cash and prizes hourly, daily and weekly with no financial risk — players never lose money! Players at NLOP enjoy a unique social gaming experience. NLOP has over 1.3 million registered users and has awarded over $5 Million in Cash & Prizes to date. Launched in 2014, Cafrino is an online poker destination, designed and run by poker players. With an experienced and lean team, and a fast-growing player base, Cafrino has been giving the competition a run for their money. Cafrino continues to look to the future, with a focus on innovation in the social gaming and online poker industries.